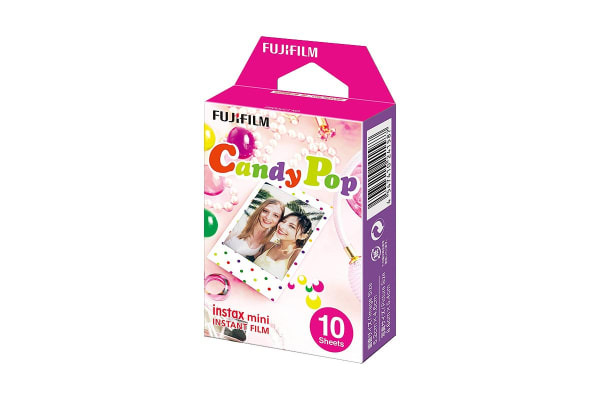 The Fujifilm Instax Mini Candy Pop Film – 10 Sheets (2 Pack) is for all Instax mini cameras and comes in a handy cartridge. 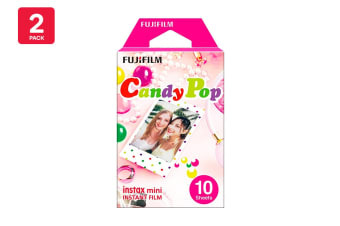 The Fujifilm Instax Mini Candy Pop Film – 10 Sheets (2 Pack) offers stunning instant pictures that you can fit into a purse, wallet or mini photo frame. Instax film ensures sharp, clear reproduction, vivid colour and natural skin tones.